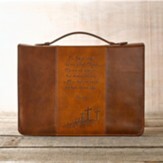 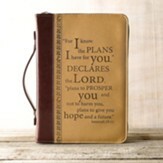 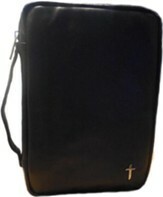 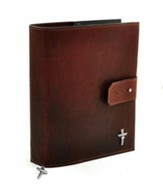 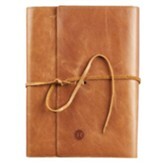 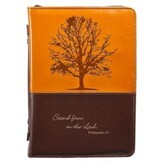 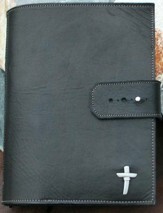 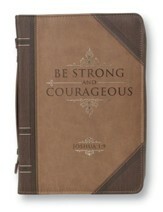 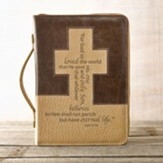 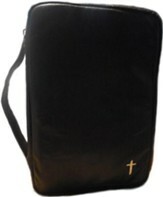 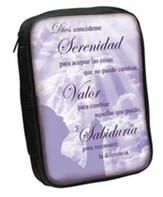 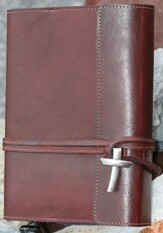 Classic Bible cover in rich dark brown with Bible verse on the front as well as on the back of the cover. 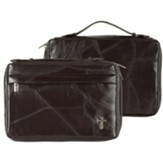 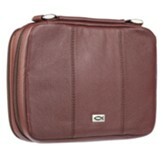 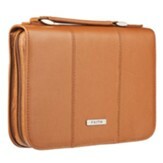 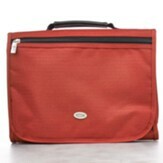 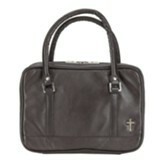 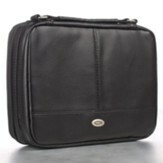 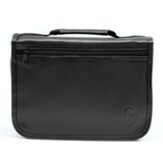 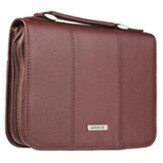 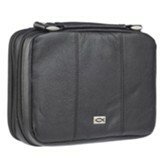 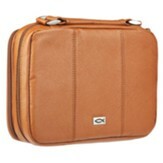 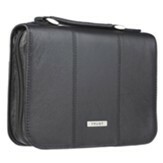 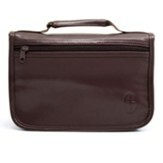 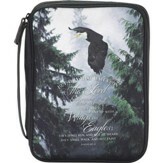 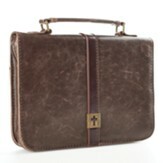 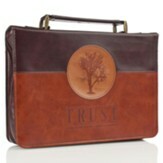 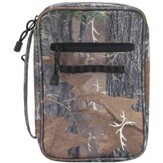 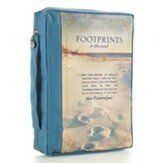 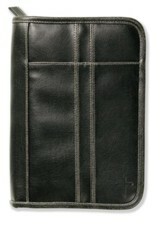 Roomy case, in two-tone design, with foil stamped details; wrap-around zip closure and comfortable spine handle. 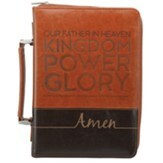 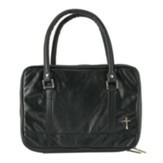 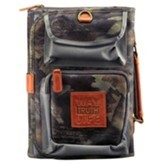 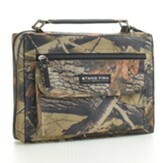 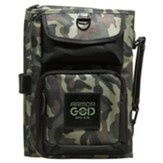 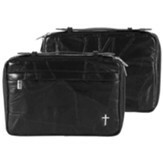 Just right for your Bible and study essentials. 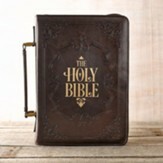 Availability: Expected to ship on or about 07/25/19.